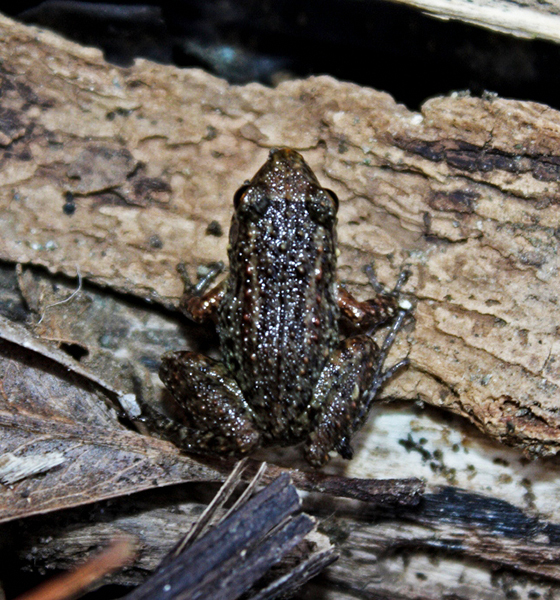 The greenhouse frog (Eleutherodactylius planirostris) is an introduced species native to the Caribbean. It is so named because it was likely introduced on imported greenhouse plants. In Alabama, it is found in southern Mobile and Baldwin counties.